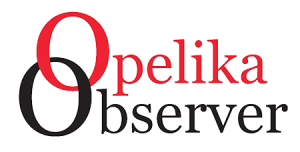 Opelika’s girls and boys tennis team swept Benjamin Russell last week in a sectional match. Single boys winners were Gray Walker 9-7, Dawson Rush 8-3, Jack Whatley 8-4 and Andrew Hudson 8-3. Boys doubles winners were Whatley/Estes 8-2, Estes/Mckay 8-0 and Trey Davidson/Rush 8-0. Singles girls winners were Readen Gaglisno 8-2, Hope Bearden 8-5, Kalyn Yountz 8-2, Kathlene Trotter 8-0 and Luci Long 8-2. The girl’s doubles team of Trooter/Victoria Tufts won 8-2. The Opelika soccer teams split a pair of matches last week. Benjamin Russell defeated Opelika’s girls 4-3 at the W. James Samford Soccer Complex. Estefany Alba, Amiya Brown and Erica Mathews scored goals for the Lady Bulldogs. Kaitlyn Goodman, Eleanor Wilson and Amiya Brown each recorded an assist. The girls bounced back to blank Stanhope 9-0 in Millbrook. Brown scored five goals to lead the charge offensively. Rebecca Wilson scored twice along with Karen Cruz goal. Erica Mathews assisted three times, Cruz, Goodman and Watts recorded an assist apiece. Keeper Phoebe Darcey earned the shutout. The Opelika boys beat area rival Benjamin Russell 2-1 at home. Alex Anajel-Gonzalez scored the first goal of his left foot. Jose Cruz and Yordy Chavez each earned assist on the play. Cruz netted the game winner with fewer than 10 minutes remaining. Nolan Billingsley earned the win as goalie. Coach Hovell stressed his team’s defensive effort. Stanhope Elmore beat Opelika 2-1 on the road. Mario Martinez scored the lone goal. Opelika did not play Marshall Meyers as a precautionary measure following a blow he took during the Benjamin Russell game. Meyers will return the next game. The Lady Bulldog softball team split a pair of games last week, beating Beulah 1-0 and losing 7-2 to Benjamin Russell. Makai Gagliano recorded her first shutout of the year, allowing five hits with six strikeouts. Chelsea Carr and Chloe Clark helped at the plate. Opelika lost to Benjamin Russell 7-2. Kayla Fourtanbary doubled and Carr singled for the Lady Bulldogs. Tommy Carter heads up the classic, which brings several teams from across Alabama to play a mixture of teams during a three-day period. The Bulldogs finished with a 1-4 record against Alma Bryant, Tuscaloosa County, Saraland and Spanish Fort. Opelika jumped out to a 5-0 lead, only to see Alma Bryant score 12 runs during the final five innings. Colton Dunson led Opelika with two hits, followed by singles from Micah Christian, Kory McCoy, Trent Fields and Brody Davis. Former Opelika coach Nick Richardson brought his Tuscaloosa County High baseball team to Bulldog Park. Prior to arriving at OHS, Richardson took his baseball team to Beauregard to see Peyton Whatley. Peyton is a student-athlete at Beauregard, a member of the baseball team who lost his house and a grandparent during the March 3 tornadoes that hit the area. Richardson and his team delivered new furniture and an $1,800 check for Whatley’s family. What a heartfelt honorable act of kindness by Richardson and Tuscaloosa County. Tuscaloosa County beat Opelika 5-3 Friday night. The following recorded hits, Christian, Brooks, Andrew, Jase Rhodes and Jackson Harris. Parr, Rhodes and Bryan pitched. Saraland beat Opelika 13-1 in six innings, allowing two hits. Opelika finished the tournament on a positive note, beating Spanish Fort 5-4 on a Zach Pierce walk-off single. Dunson earned the win, pitching the final two outs. Christian led with three hits and scored two runs. Parr and Willis added two hits apiece. Pierce knocked in the winning run in the bottom of the seventh, earning the win for Opelika. The OMS softball team earned two wins last week, improving their record to 16-3. The Lady Bulldogs beat Smiths Station 5-1 and Beulah 2-1 back-to-back nights. McKay Yountz continues to dominate in the circle, earning both wins with a total of 21 strikeouts. Nylen Thomas led at the plate with three hits, Yountz added two while Ava Parker, Memoree Lyles and Paige Bales all added singles. The middle school baseball team swept Russell County in two games, 3-2 and 3-0. Caleb Chisum and Caden Blair earned wins. Jake Smith hit a monstrous solo home run in the fourth inning. OMS beat Beauregard 6-4 behind the pitching duo of cousins, Bryce Speakman and Russell Copous. 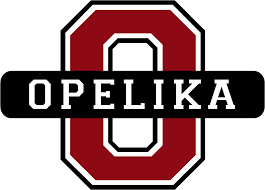 Opelika Dixie Boys Baseball will offer registration, beginning March 25 at the Opelika Sportsplex. Anyone between the ages of 13-15 interested in playing baseball can register from 8 to 9 a.m. weekdays, and on weekend’s noon to 5 p.m. Previous articleDo ants have a sweet tooth or a meat tooth?